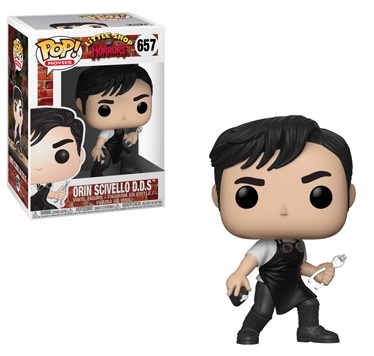 A horror comedy rock musical of the 1980s gets new life with the Funko Pop Little Shop of Horrors figures. Fans and collectors can get their hands on multiple vinyls, including several choices for Audrey II. The cult-favorite film Little Shop of Horrors released in 1986 based on the story of a man-eating plant that ultimately resides in a New York City floral store. 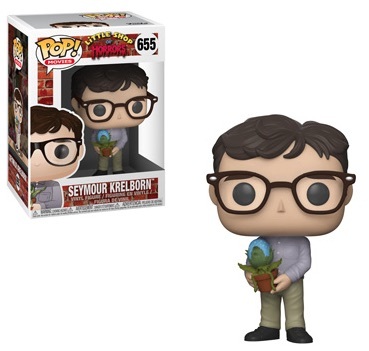 Seymour Krelborn, played by Rick Moranis, works at The Mushnik's Flower Shop. His figure comes dressed in large glasses, khakis and a button-up shirt. Seymour holds a potted plant containing baby Audrey II, as well. 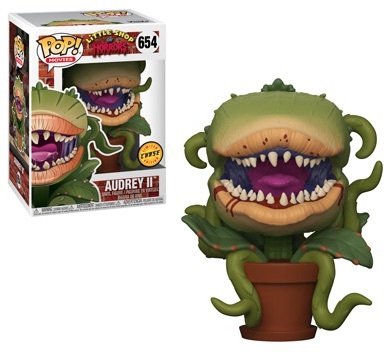 Audrey II also comes in a grown-up version with a bloody chase variant that averages 1:6 boxes. 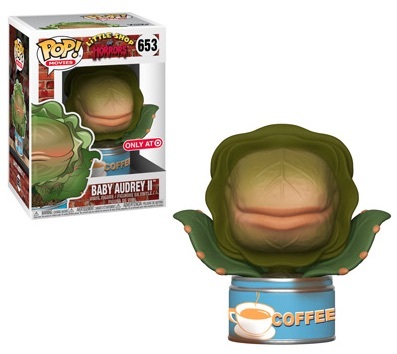 Baby Audrey II is exclusive to Target locations. 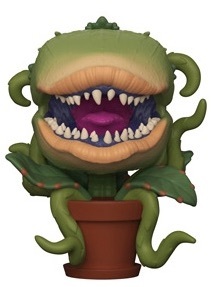 Shop Funko Little Shop of Horrors Figures on Entertainment Earth. 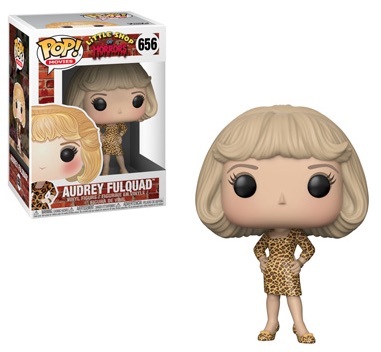 This is not to be confused with Audrey, the romantic interest for Krelborn, wearing a cheetah-print dress. 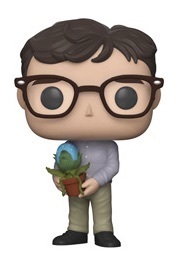 She is joined in the Funko Pop Little Shop of Horrors set by her dentist boyfriend, Orin Scrivello, who is played by Steve Martin. While additional figure waves were not mentioned, a three-pack featuring Chiffon, Crystal and Ronnette would likely go over well. Funko Pop Audrey 2 (II) From Little Shop of Horrors Movie CHASE FIGURE!! Buy specific figures from Amazon or eBay using the links below.